An eyelid twitch is not an unusual occurrence. Most people occasionally experience spasms of the upper or lower eyelid. When a twitch is mild, it is nothing more than a minor annoyance. A twitching eye is rarely a serious medical concern, though it can be irritating for the patient. In many cases, the eyelid twitches on and off for a few minutes at a time, and is gone within a day or two. However, in more severe cases, twitching may last for weeks or longer, and the spasms can be strong enough to force the eyelid closed. Patients that commonly deal with a twitching eye may want to consider what is causing the condition, and if there is anything they can do to stop it. Dr. William S. Goldstein is happy to discuss common eyelid twitching causes with his Detroit, MI patients so that they can develop practices that may reduce the frequency of spasms. Nearly everyone deals with some degree of stress on a daily basis. And each person responds to stress differently. Often, stress manifests itself in unexpected ways. An eyelid twitch is one way that the body can react to stress. In fact, stress is thought to be the leading cause of a twitching eye. In most cases, it isn’t possible to avoid stress or immediately change the circumstances that are causing stress. Instead, people should practice stress management. Practices such as deep breathing, meditation, and yoga can all relieve stress, which may help prevent the side effects of stress, including eyelid twitching. Stress can be more than just a mental ailment. If the body is under physical stress, side effects will likely develop. In some cases, an eyelid twitch is a sign that they eye is being strained. Possible causes of eye strain include spending too much time in front of a computer screen and minor vision problems. 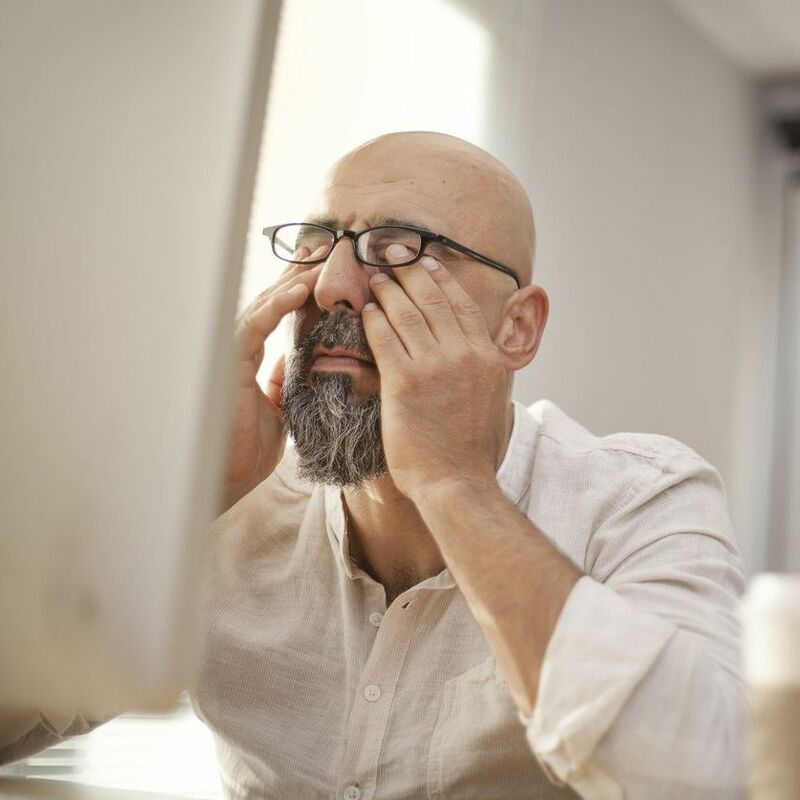 If a patient has an undiagnosed refractive error or is in need of a new vision prescription, the eye may be forced to work harder than it should, and this stress could manifest as a twitching eyelid. Fatigue, or lack of sleep, is another common cause of eyelid twitching. When someone is overly tired, the levels of stress hormones in the body increase. This can lead to eyelid twitching. The best way to manage this is to aim for a solid night of rest each night. Unfortunately, because lack of sleep increases stress levels, fatigue can actually make it more difficult to fall asleep. That is why practices such as deep breathing and meditation are so important for individuals dealing with stress and fatigue. Many people rely on coffee or other sources of caffeine to help wake up in the morning. This is especially true of people who are already suffering from a lack of sleep. Unfortunately, caffeine is a stimulant that can trigger the nerves and muscles, which increases the likelihood of an eyelid twitch. If an eyelid twitch fails to go away on its own in a reasonable amount of time or continues to reoccur, individuals may want to consider decreasing caffeine intake to see if it will alleviate the condition. Dr. William S. Goldstein offers a comprehensive range of treatments to help patients preserve the health and function of their eyes. If you have concerns about a twitching eyelid, or simply have questions about our eye care services, contact us at your earliest convenience.